Firefox 57 stable has been released and is available for download. You may find Firefox 57 offline installers direct download links at the end of this article. Firefox 57 is a major release. It has been built from the grounds up to make sure that Firefox becomes an efficient browser. In short, Firefox 57 is a much faster browser, at least 2x faster than earlier versions of Firefox. The interface has been redesigned and support for legacy add-ons has been taken away. Let’s look at these features in detail and then go to the download links. Photon is the new UI of Firefox which is much faster and responsive as compared to Australis, the earlier Firefox UI. The new interface is especially designed for touch screens and take advantage of processing power of modern devices. The new user interface includes a unified address and search bar which is already offered in Google Chrome. You can choose between address bar + search bar or adding search bar separately in the toolbar. 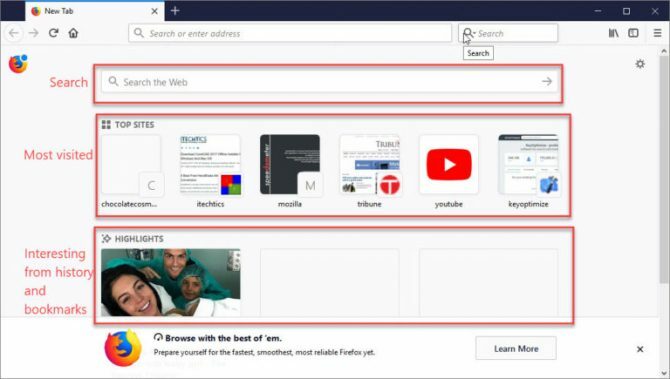 The new tab page includes a search field at the top, top visited sites and recommendations from Firefox history and bookmarks. The new AMD VP9 hardware video decoder improves video playback with better performance and less energy consumption. The Quantum project from Mozilla is about making Firefox faster. Although we saw some of the features of Quantum in Firefox 54, Firefox 55 and Firefox 56, Quantum comes to full swing in Firefox 57. 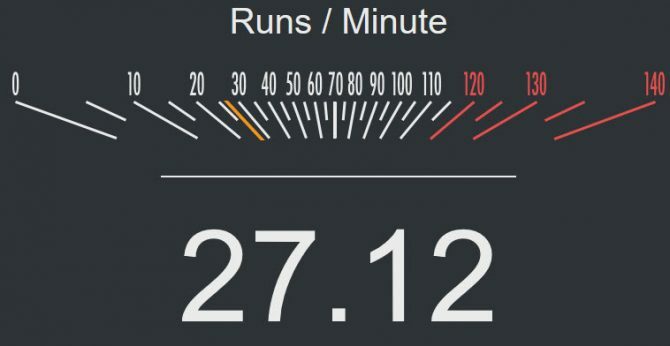 It makes the latest version to be 200 percent faster than the previous versions. The new version of Firefox also takes 30% less memory. We had always complained about Firefox hanging when we opened many tabs at the same time. But Firefox 57 will be a lot smoother even we have opened 100+tabs due to the new responsive engine. I ran the performance tests on Chrome, Firefox 57, Opera and Vivaldi. Interestingly Vivaldi was the best performing browser of the lot while others performed almost similarly. The developer tools in Firefox 57 have been given a revamped look and feel to match Photon as a whole. Now the inspector shows the values of CSS variables on hover. This is a huge help for the developers. The new console lets the users inspect objects in context. There are quite a lot of security fixes which have been made in Firefox 57. Four fixes have been made on critical vulnerabilities, one is high impact, seven are moderate impact while four are low impact vulnerabilities which have been fixed. You may go here to check out the detailed fixes. The legacy add-on support has been removed from Firefox 57. Now you will not be able to run legacy add-ons in Firefox. Removing them is the best you can do. Go to Firefox Menu –> Add-ons –> Legacy Extensions to remove the incompatible addons. After installing, please share your experience with us in the comments below. If you encounter any issues, we would appreciate if you can talk to us through comments on this article.